$650.00 includes the class fee, kit, pattern, and lunches. An additional supply list will be emailed closer to the event. The fee does not include lodging or travel. We have reserved a block of rooms at the Hilton. The event will also be held at this location There is a $200.00 non-refundable deposit payable at the time you register to hold your spot. The balance is due 60 days prior to the event. Your deposit will confirm that you agree to the terms. Lodging: Hilton Garden Inn 2465 Grant Road Billings, MT 59102 406-655-8800 Please ask for the block of rooms being held for Fiberworks. Please do not wait to make your reservations. Summer months sell out fast in Billings. This hotel has a 24 hour shuttle to and from the airport. Please set your times up with them prior to your stay. 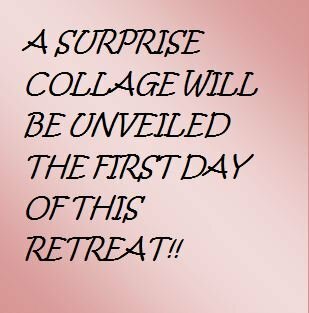 This retreat is specific for shop owners and people who what to teach Laura's collage technique. We will cover the kit cutting process to help your shops in cutting your collage kits with a focus on packaging, merchandising and pricing. You will spend Tuesday afternoon and Wednesday making a collage pattern that Laura designed specifically for this event. You and your shop will be the first to have this pattern, and you will have your sample ready to show! The hotel will shuttle people without cars to Fiberworks for this morning event. 9:00-4:00 Begin at Fiberworks for a tour of Laura’s shop. Ideas for kitting, cutting, what kinds of fabrics work, packaging and pricing will be discussed. You will receive your kit and pattern for class. After lunch, we will begin fusing and cutting fabrics for your collage. 9:00-4:00 Work on your collage quilts! Photo shoot at 4:00! The additional supply list will be emailed closer to the event. **Please note that there will be no substitutions of projects. The project will be a surprise and you will get your kit on Tuesday morning! Your $200.00 deposit is non-refundable and acts as your registration. We will send a notice to the email address you have provided on your order form when the final payment is due (around 60 days prior to the event). If you need to cancel your registration and you notify us within 30 days of the date of the event then your final payment minus a 5% processing fee will be refunded. No refunds will be given for cancellations within the 30 days prior to the event, unless we are able to fill your spot, and only the final payment minus a 10% processing fee will be refunded. You may have the option to move your deposit and final payment to another retreat. You may also transfer your registration to another person.